This guide contains everything you need to know to create a highly-productive, beautiful vegetable plot. Joy Larkom's easy-to-follow advice covers every aspect of vegetable gardening, including preparing and looking after soil; manures, composts and fertilizers; growing techniques; pests, diseases and weeds; protection; and planning and making good use of space. The second half of the book provides cultivation information for over 100 vegetables, including site and soil requirements, cultivation, pests and diseases, and cultivars. Comprehensively revised, the book now includes unusual vegetables from the increasingly wide range available today, new varieties and modern techniques, and up-to-date research. 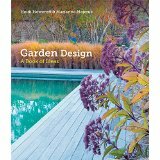 It addresses the concerns of 21st-century gardeners and is totally organic in its approach. Beginning in January with advice on soil pre paration and going right through sowing, planting and harves ting, this is a book for gardeners who want a gentle yet tho rough introduction to growing their own produce. This manual supplies information on growing conventional and more exotic fruits, from soft, tree and warm temperate fruits to nuts and currants. In order to be a successful gardener you have to know how to prune - whether to improve growth, increase fruiting qualities or to enable the plant to grow in space-restricted areas or cold environments. This practical book provides advice on pruning garden plants, from infancy to maturity. Included is detailed advice on renovating neglected plants, from shrubs and climbers to fruit trees and bushes. There is also a fun element, with instructions for creating topiary in the garden.